Mr. Pervez Musharraf, former President and Army Chief of Pakistan, has a cult following. Either people love him, or people hate him. There is no middle ground, and for good reason I might add. People remember him as the man who sold 400 Pakistanis to the Americans. Others remember him as the man who descended not unlike the promised Messiah to rescue Pakistan from the clutches of a sadist and despotic autocratic dictator (Nawaz Sharif). There were times in his rule when people went gaga over him, and there were times when people resented his mere presence in Islamabad. But that aside, if there is one good thing that he did in all the years that he ruled, it was the introduction of the Local Governments’ system. The dynamics of politics are just a tad over being explicable. I suppose all people who clamor up to the positions of authority do so with good intentions, and respectable objectives. Possibly, it is the power itself that becomes addictive, that forces people into considering overtures that they would not normally have thought possible. I am not defending what Pervez Musharraf did, merely trying to understand why all the people who have seen either the inside of the Prime Minister Secretariat, or the Presidency, fall towards this appalling dimension. I suppose the age old adage of ‘Absolute power corrupts absolutely’ rings absolutely true. But it would be hypocritical of me if I did not give credit where it is due. One of the reasons that Pakistan seems to perform so well under Generals’ rule is perhaps because they feel insecure and isolated when they first take up the mettle of ‘leading the nation’. Consequently, they immediately put into series a chain of events that is based on the genuine will of showing the people that they are here to help. Naturally though, as this gambit starts to play out its natural course and with henchmen and cronies surrounding the new ‘savior of the doomed people’, the initial inclination of being pro-people is replaced by other, more sinister ideas and thoughts. 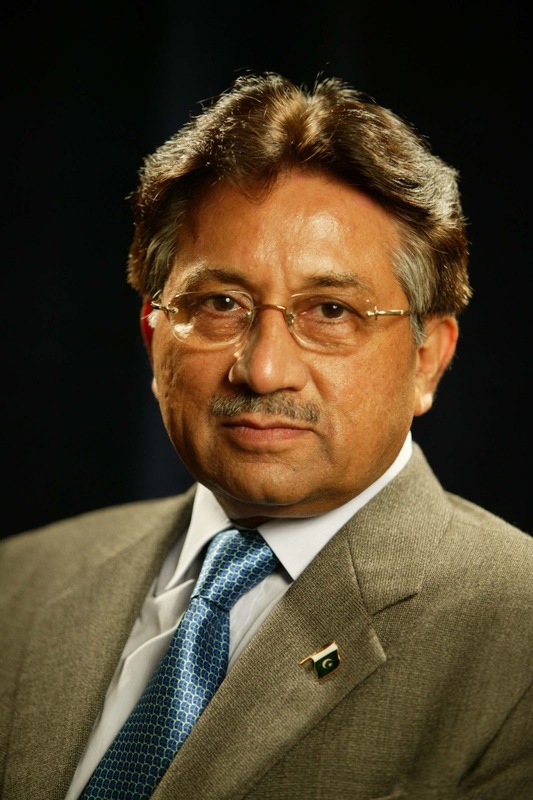 However, this post is not about whether Pervez Musharraf was a saint or not. When he came into power, he set up a National Reconstruction Bureau (NRB) who’s in charge was General Tanvir Hussain Naqvi. One of the first jobs given to Mr. Naqvi was to find a workable solution towards the long-term goal of devolution of authority, and decentralization of the power. In other words, this was to be the first step in the empowerment of the people. This principle of deregulating power in essence meant that the people would be spared the usual bureaucratic red tape, and arm twisting that went along with it right up to the upper echelons of the political system. Local issues were to be solved locally, and only matters of national significance were to be left to the federation. In retrospect, this system was simply epic. Mr. Tanvir Hussain Naqvi drafted the Local Governments Ordinance that became a rallying point for Pervez Musharraf’s counter attacks against the self professed democratic yet very plutocratic and kleptocratic elements of our political systems. Just to put things into perspective here, a dictator who hid behind a façade of ‘genuine democracy’ went head to head with ‘democratic forces’ who were anything but democratic. However, the idea behind Local Governments was indeed a very good one, and the years in which Musharraf ruled they have been nothing short of a success story. Karachi went from being unmanageable to one of the finest cities of Asia. Although in hindsight, it has taken only two years (since the Local Governments were officially removed) for it to return to its pre-grandeur state. The LGs were a runaway success because they actually did end up empowering the people somewhat. Of course there will always be some sort of corruption, or black sheep in any system; that’s a given. But the fact remains that the Local Government’s ensured that those matters that asked for provincial or even federal go-aheads could now be decided at the behest of a city mayor who had the backing of his city’s people. Such a system was never seen before in Pakistan, and has never been seen since. One of the very many reasons that the floods were so devastating was that the state machinery had to be mobilized with the acquiescence of the provincial and federal governments, which were already so overwhelmed that they had no time to respond to requests coming in from small districts. Had the Local Government’s system remained in place, the response time of the state would’ve been much quicker and the devastation would’ve been much less catastrophic. But then, that would’ve meant giving a dictator credit. This is our shoddy, farcical political system, where egos are nurtured at the behest of the nation. Bereft of any shame, dignity and poise, our political shenanigans are enough to make any Pakistani’s head hang in shame. These very ‘democratic’ forces of Pakistan cannot tolerate people from their own party who ask for elections for party offices, and we the misled people expect them to deliver on the national front. They say history repeats itself, and no doubt it does. The decade of sham democracy (90s) was marred by indomitable corruption. The actors in today’s political setup are exactly the same; so anyone who thinks that the 90s isn’t being repeated all over again is probably living in a fool’s paradise.